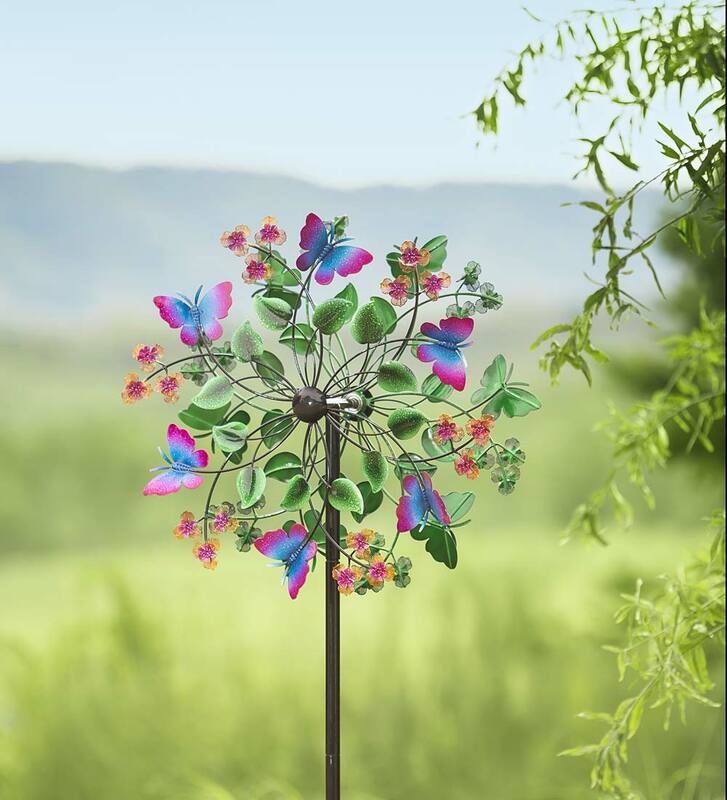 Our Butterfly Garden Wind Spinner brings the beauty of butterflies to your yard. 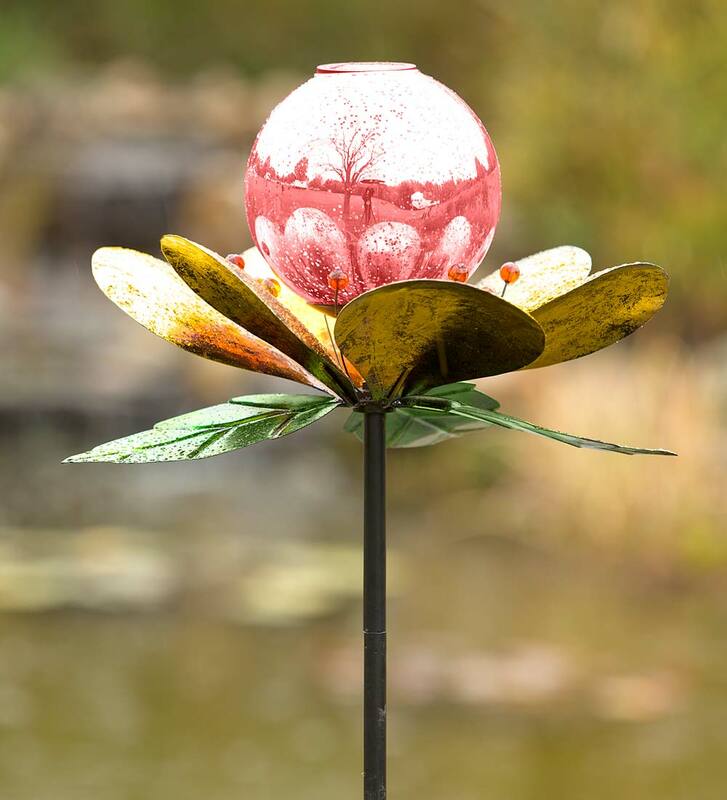 This eye-catching garden accent features colorful painted metal design with butterflies, flowers and leaves. Place it in your front yard or garden for a charming display of color and motion in any season. Sturdy metal construction; bright electroplated finish. 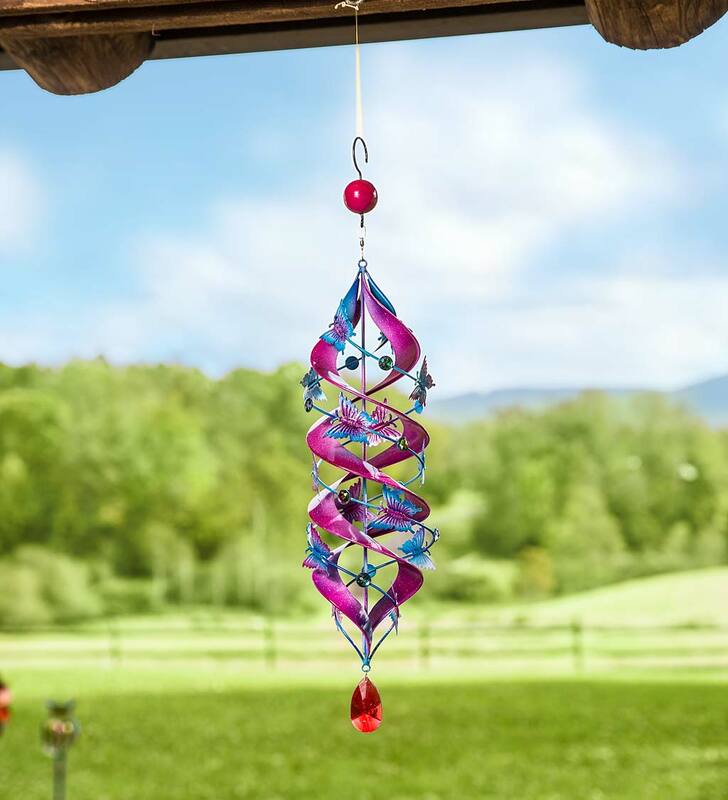 Hang this Butterfly Helix Spinner from a deck or porch and watch the twirling colors in shades of pink and blue. Detailed metal spinner features butterflies attached to a helix design that spins in the breeze with mesmerizing motion. The painted finish is bright with a speckled effect, while a sphere and jewel accent the top and bottom of the spinner. Hanging hook included. This is a fun and easy outdoor accent!